Last week of the month can be tricky. Not many books sometimes, like it was this week, but even so, we have great spoiler-filled picks for you to check out. Let’s get to it! What an odd title for an interesting collection of bite-sized stories. Naturally, when it hits the sweet spot, like this one does in the Hawkman-Green Arrow conversation it’s even better. 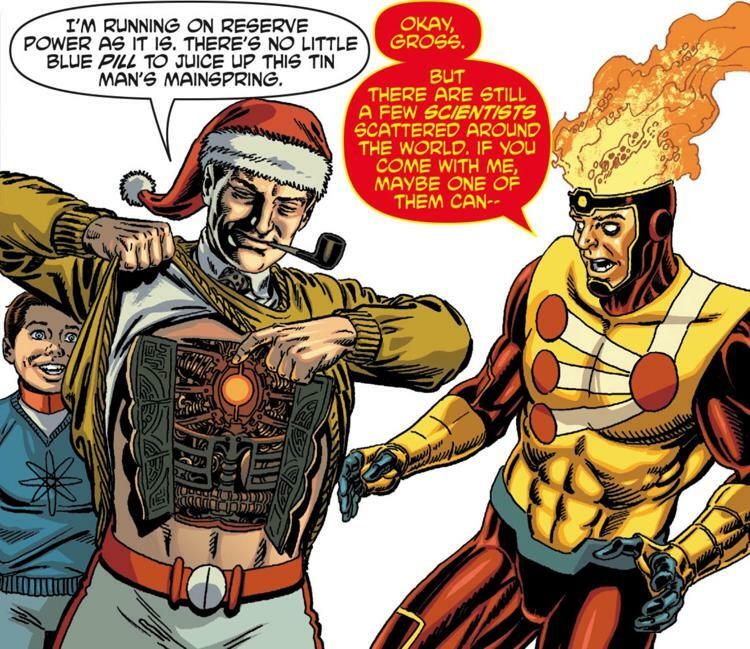 Firestorm gets far too much information about android anatomy in one of ten terrific tinsel-topped tales in DC’s Nuclear Winter Special, courtesy of writer Paul Dini, illustrator Jerry Ordway, colourist Dave McCaig and letterer Dave Sharpe. AMAZING SPIDER-MAN #10 – Kat! 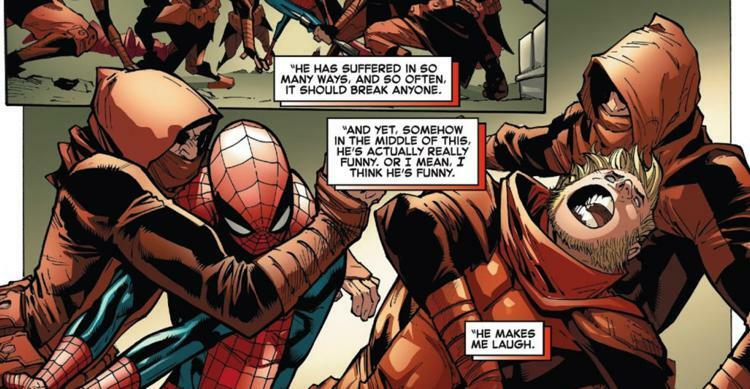 This is one of Nick Spencer’s best issues as MJ expresses her deepest feelings about Peter. This panel was a highlight! Don’t worry MJ I think Pete’s funny too, especially in this issue. About Me: I’m Kat! 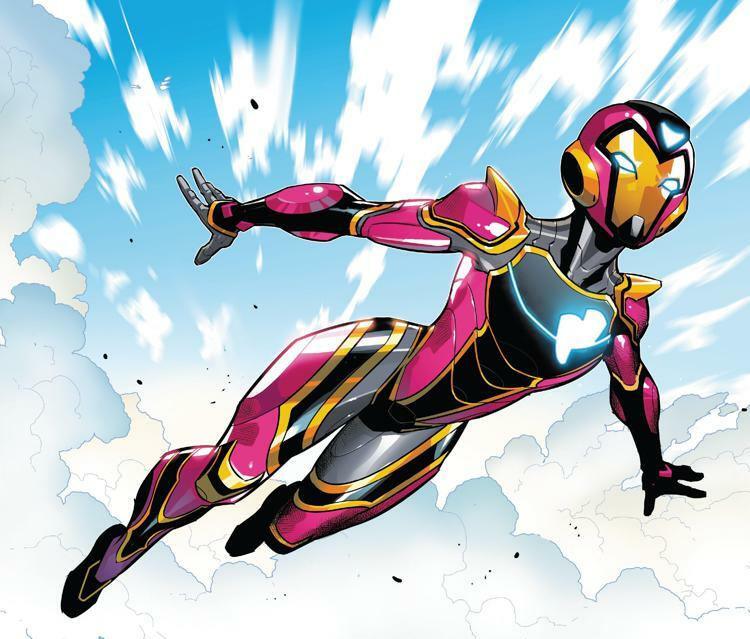 A YouTuber on Comic Uno and Comic Frontline, a podcaster on the Legends of Tomorrow Podcast and upcoming Titans Podcast, comic book editor on The Marvel Report, comic book critic on Newsarama, and writer/creator for comic book series Like Father, Like Daughter and They Call Her…The Dancer. Follow me on @ComicUno. A great character with a great new start.